More Power to you in maintaining Email Hygiene. 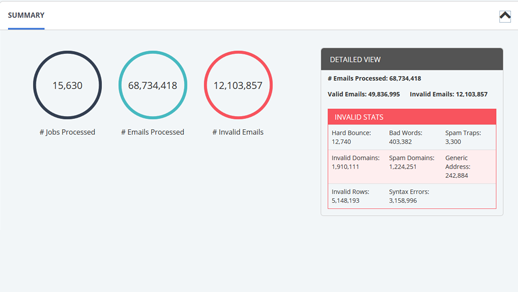 Email Validator is a cloud based SaaS solution that ensures email list quality. 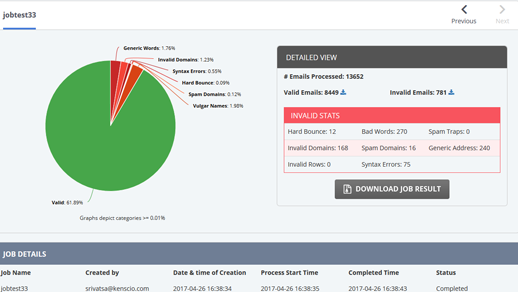 It cleans nearly 80% of the bad email addresses based on multitude of intuitive checks. The deliverables and output of this product can be observed in drastically reduced bounce rate and subsequent improvement in ROI. Email can be used as an Identifier that can provide rich user-centric information, much more informative than standard HTTP cookie. Save upto 40% of Cost Per Email campaign. Reduce unnecessary cost of keeping bad email addresses on your list. Increase Efficiency and improve ROI. Increase your sender and ISP reputation by only targeting real and valid email addresses. The biggest challenge for email marketers today is the quality of email lists if double opt in policies are not followed. 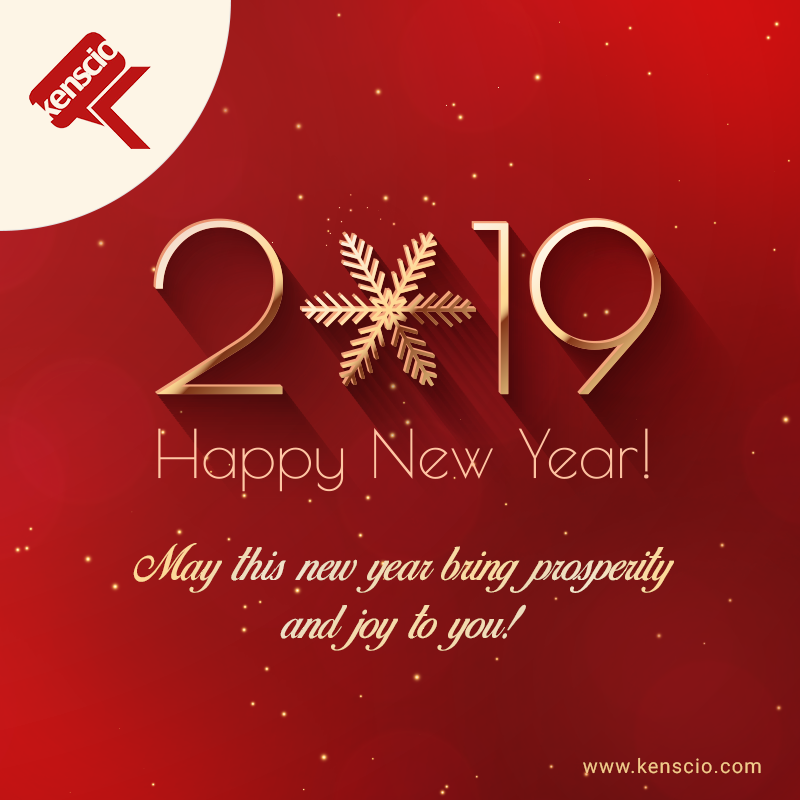 Kenscio’s Email Validator, a hygiene application truly provides the best intelligence on the authenticity of subscriber email addresses and assurance on the contacts that can be sent email safely without the danger of getting the sender IP or sender Domains blacklisted. 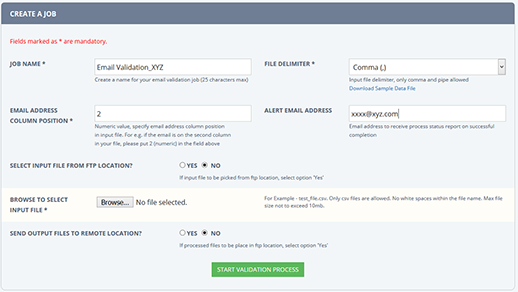 Simply create a new job by importing your Email Data for validation. Export the final processed list that includes both Valid Emails and Invalid Emails separately. Visual representation of all the Email List Cleaning processes and their performance in the account. Save all your history in one place for easy and quick reference in Future. 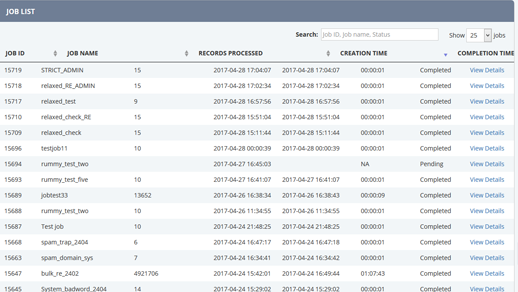 Time Triggered and repetitive automation of list cleaning picking up email lists from FTP location. Processing Speed of 600k records per hour. Suppression of Emails that are short lived or of disposable domains. Suppression Against well known spam traps and potential spam traps. Checking Emails against RFC Standard and known format on leading ISPs such as Yahoo!, Gmail, Hotmail, AOL etc. Suppression against Email IDs of Spam Regulatory Authorities. Live Check if an Email domain accepts Emails or not. API based submission of List Cleaning. For a quick check of the Single id Email Validator API, please enter an email address and validate in real-time. Please fill below form to get detailed info. Our HR Manager will never get to see this ! !